Have you seen Uri speak? Leave a review. 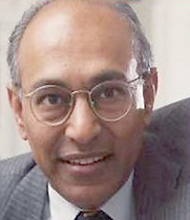 He is a pioneer of behavioral Economics and professor at the Rady School of Management, University of California, San Diego. His simple yet clever experiments have uncovered vital information about the relationship between spending, incentives, and the human psyche. His practical research and findings have helped organizations create effective incentive programs that maximize employee productivity and gains. Uri Gneezy’s early work on when and why incentives can backfire has become the cornerstone in a compelling line of research that explores when traditional economic theories fail to explain real human behavior. 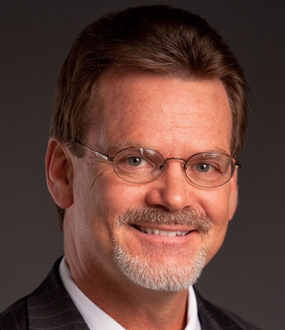 He is the co-author of the Washington Post bestseller, The Why Axis. His work has been covered by the New York Times, the Wall Street Journal, and has been featured in the bestselling books Freakonomics, Predictably Irrational, and Drive. Known for putting behavioral economics to work in the real world, Uri’s research focuses on helping organizations use behavioral economics to optimize incentive schemes. 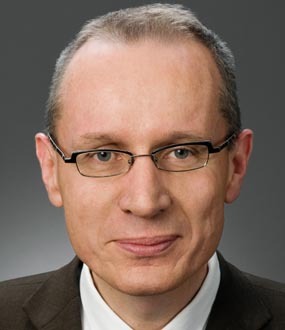 He is the Epstein/Atkinson Endowed Chair in Behavioral Economics and Professor of Economics & Strategy at the Rady School of Management, University of California, San Diego and a visiting professor at the University of Amsterdam Center for Research in Experimental Economics and Political Decision Making (CREED). As a researcher, Uri Gneezy’s focus is on putting behavioral economics to work in the real world, where theory can meet application. 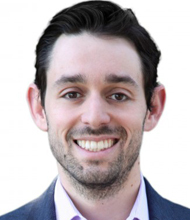 Gneezy concentrates on basic research as well as more applied approaches to such topics as incentives-based interventions to increase good habits and decrease bad ones, Pay-What-You-Want pricing, and the detrimental effects of small and large incentives. In addition to the traditional laboratory and field studies, he currently works with several firms, conducting experiments in which he is using basic findings from behavioral economics to help companies achieve their traditional goals in non-traditional ways. Gneezy recently coauthored a book with John List (http://thewhyaxis.com/) in which they discuss field experiments that study how to close the gap between rich and poor students; to decipher whether women are really less competitive than men; to correctly price products and services; and to discover the real reasons why people discriminate. To get the answers, Gneezy and List boarded planes, helicopters, trains, and automobiles to embark on journeys from the foothills of Kilimanjaro to California wineries; from sultry northern India to the chilly streets of Chicago; from the playgrounds of schools in Israel to the boardrooms of some of the world’s largest corporations. In The Why Axis, they take us along for the ride, and through engaging and colorful stories, present lessons with big payoffs. Before joining the Rady School, Gneezy was a faculty member at the University of Chicago, Technion and Haifa. Gneezy received his Ph.D. from the Center for Economic Research in Tilburg. Experimental economist Uri Gneezy takes an intriguing look at the intersection of human behavior and consumerist spending. He presents two alternative models of consumer elected pricing that researchers tested: Pay-What-You-Want and Pay-It-Forward, the second of which means that customers paid for the good of another customer and furthermore, received a good that had been paid for by a previous customer. “People give more when it’s ‘Pay-It-Forward,’” Uri notes, explaining that the Pay-It-Forward framework creates an incentive not just to be nice to the organization or employees offering consumers a service, but to fellow customers as well. 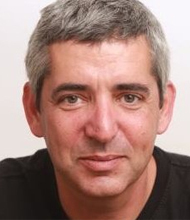 Uri Gneezy’s work – a marriage of economics and psychology – delivers tested techniques that will help companies get inside their customers’, employees’, and stakeholders’ heads. The cutting edge economist’s programs unpack real world practical research that addresses when incentives work, when they don’t, and when they yield optimal results. Taking audiences for a fascinating ride, Uri proves that economics can be both entertaining and practical as he shows participants in detail how to structure incentive programs that will yield maximum productivity and gains. In some cases, small changes to the incentive structure can have a dramatic impact, positive or negative, on customer engagement and loyalty. Uri illustrates how to identify and avoid waste in commonly used incentive programs. Then, drawing on insights from previous research in behavioral economics and psychology and providing examples from his recent work, he shows how small differences in the structure of incentives programs can greatly impact effectiveness. The assumption that all incentives are created equal can lead managers to overestimate the return on employee incentive programs and fail to recognize valuable cost savings. Research in the field of psychology and behavioral economics has shown how small changes to incentive structure can have a dramatic impact on the organization’s goals. Too often, companies put incentives in place without an accurate measure of the effect they have on behavior. Uri Gneezy’s research explores when and why incentives work (or don’t work) to motivate behavior. Uri discusses how incentives should be structured to maximize employee productivity and will help managers evaluate and improve employee incentive schemes. Businesses are increasingly applying insights from behavioral economics in a wide range of areas including product pricing, marketing strategies, incentives and shaping consumer behavior. However, many companies currently lack the knowledge necessary to take advantage of behavioral economics. Understanding the psychological principles affecting the choices and behavior of customers, employees, and other stakeholders can give organizations a competitive advantage. Can economics be passionate? Can it center on people and what really matters to them day-in and day-out and help us understand their hidden motives for why they do what they do in everyday life? Uri Gneezy and John List are revolutionaries. Their ideas and methods for revealing what really works in addressing big social, business, and economic problems gives us new understanding of the motives underlying human behavior. We can then structure incentives that can get people to move mountains, change their behavior—or at least get a better deal. But finding the right incentive can be like looking for a needle in a haystack. Gneezy and List’s pioneering approach is to embed themselves in the factories, schools, communities, and offices where people work, live, and play. Then, through large-scale field experiments conducted “in the wild,” Gneezy and List observe people in their natural environments without them being aware that they are observed. Their randomized experiments have revealed ways to close the gap between rich and poor students; to stop the violence plaguing inner-city schools; to decipher whether women are really less competitive than men; to correctly price products and services; and to discover the real reasons why people discriminate. To get the answers, Gneezy and List boarded planes, helicopters, trains, and automobiles to embark on journeys from the foothills of Kilimanjaro to California wineries; from sultry northern India to the chilly streets of Chicago; from the playgrounds of schools in Israel to the boardrooms of some of the world’s largest corporations. In The Why Axis, they take us along for the ride, and through engaging and colorful stories, present lessons with big payoffs. Their revelatory, startling, and urgent discoveries about how incentives really work are both revolutionary and immensely practical. This research will change both the way we think about and take action on big and little problems. Instead of relying on assumptions, we can find out, through evidence, what really works. 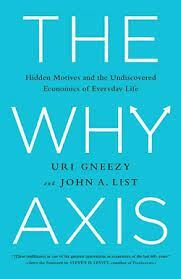 Anyone working in business, politics, education, or philanthropy can use the approach Gneezy and List describe in The Why Axis to reach a deeper, nuanced understanding of human behavior, and a better understanding of what motivates people and why.